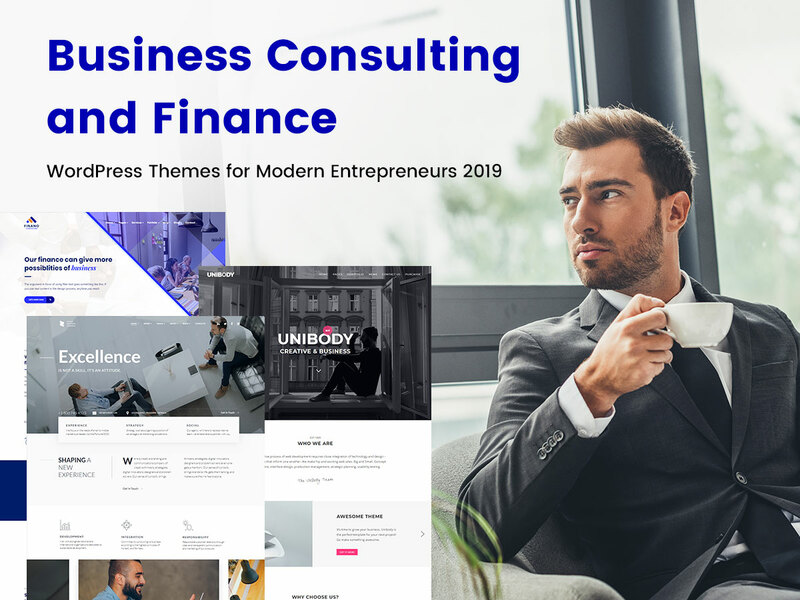 Today we are happy to present a fresh collection of business and corporate WordPress themes suitable for consulting, finance, investment, insurance, agency, and many more related purposes. You can take any of these templates to create your debut corporate website, a business card, a promotional site for your agency or startup, or much more related websites. Just take your best theme and go ahead. A great minimal and modern WordPress theme designed for business and consulting oriented websites, business cards, corporate websites, and more related needs. 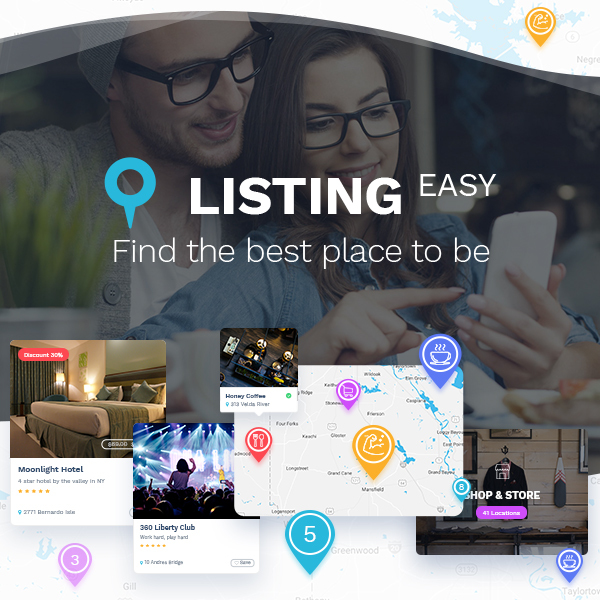 It comes with two homepage layouts including one with fixed header image and another one with a slider, so you can choose any of them to your taste. The theme comes with multiple inner page layouts, isotope, fullwidth, packery, and other types of case galleries, different types of blog layouts, Elementor page builder included into the pack, easy color management, custom settings in modules, tones of shortcodes, and many more features. 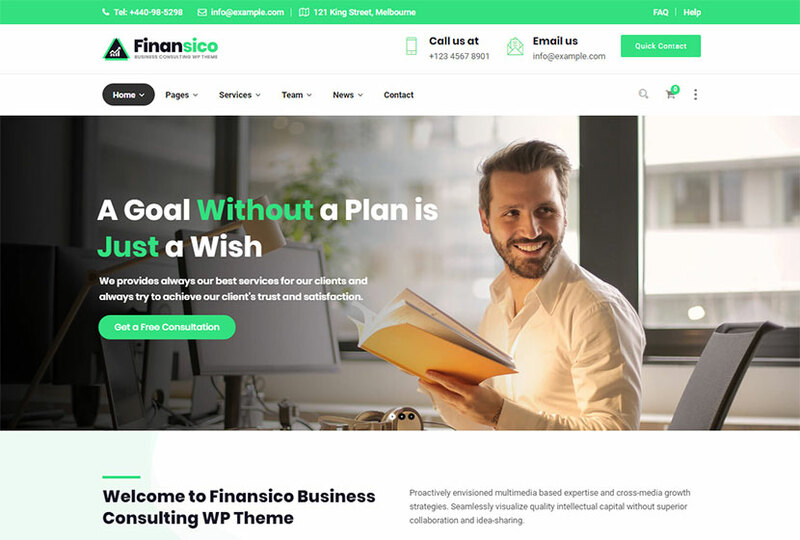 This is a business consulting and finance WordPress theme which can become a great choice for your online presence. Pre-defined layouts for portfolio, blog, team page, testimonials, and many more inner pages allow to introduce your company from all sides. The theme comes with sticky header, a possibility to set parallax and video backgrounds, WPML support for translation-ready websites, WPBakery page builder and Revolution Slider, unlimited color options, Contact Form 7 plugin, smooth transition effects, fontawesome icons, and more. 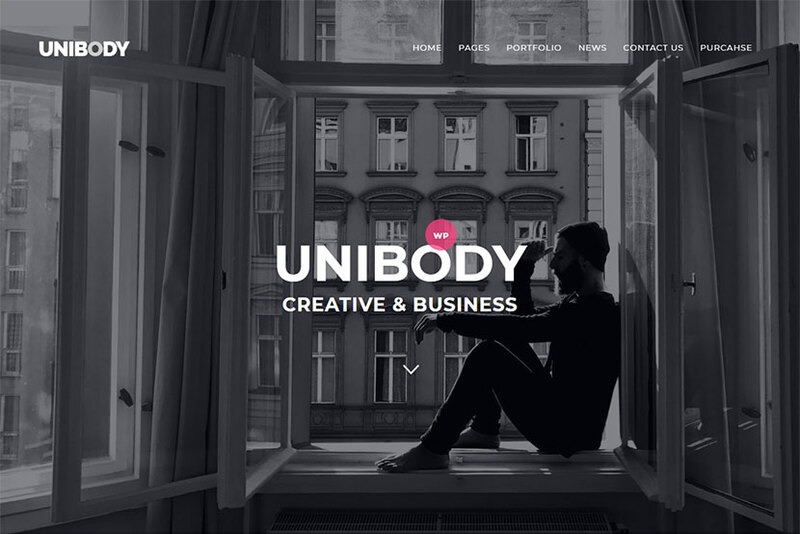 Unibody is a comprehensive multipurpose business WordPress theme which comes with multiple homepage layouts including the ones for personal website, freelancer, agency, beauty salon, architecture, and more purposes. 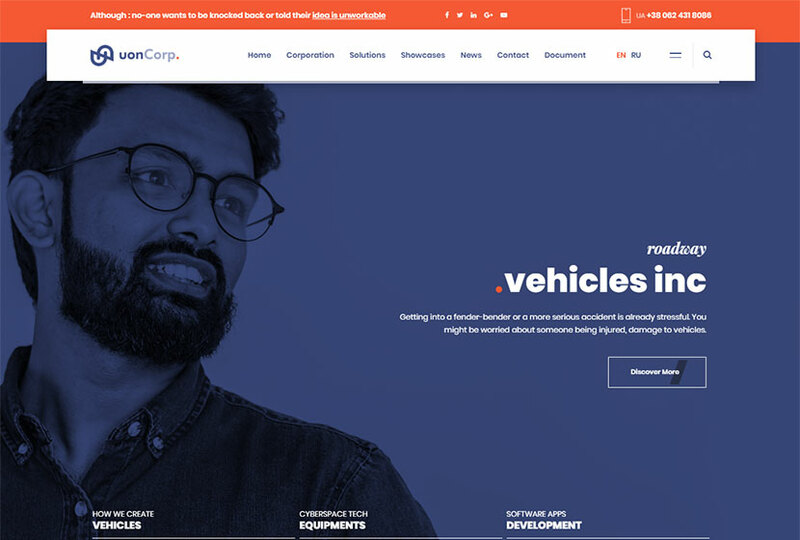 The theme’s homepages come in different design styles like parallax dark, ken burns slider, slider parallax, solid color, image parallax, fullscreen video, and more. More features of the template include lots of customization options, Contact Form 7, unlimited colors, portfolio layout builder, translation ready support, and many more advantages. This WordPress theme is a cool business website solution for consulting companies. Create your business website and introduce your team members, press releases, clients, offices, testimonials, and other details of your company right on your corporate page. Among the theme’s features one should distinguish WPBakery page builder integrated, Swiper Slider included, color blended slides, unique team hover, odometer Counter, flipbox sections, Bootstrap 4 options, HTML validation, flawless CSS transition, and more features. 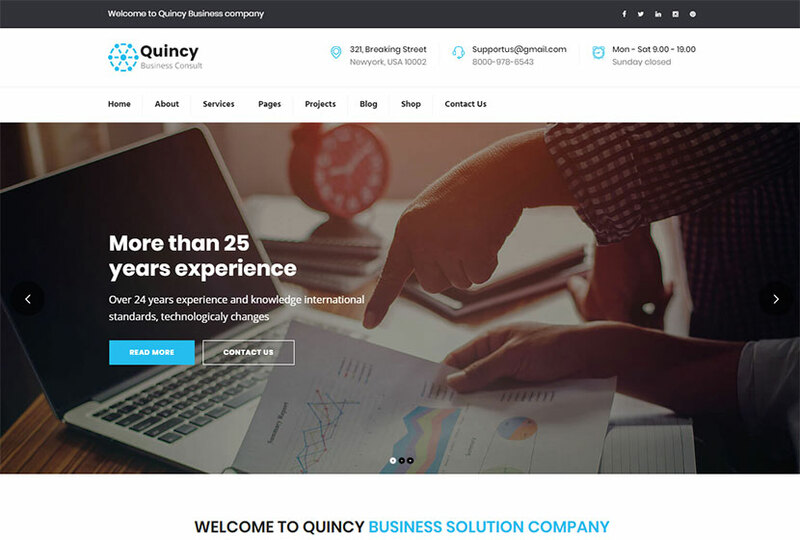 Quincy is a business consulting WordPress theme which suits for training, coaching, and other related purposes. It comes with 8 homepage templates for different business types and with different design styles. Choose the one which fits you the best. Check out the features which come pre-packed with the theme to learn if it is going to meet all of your needs. 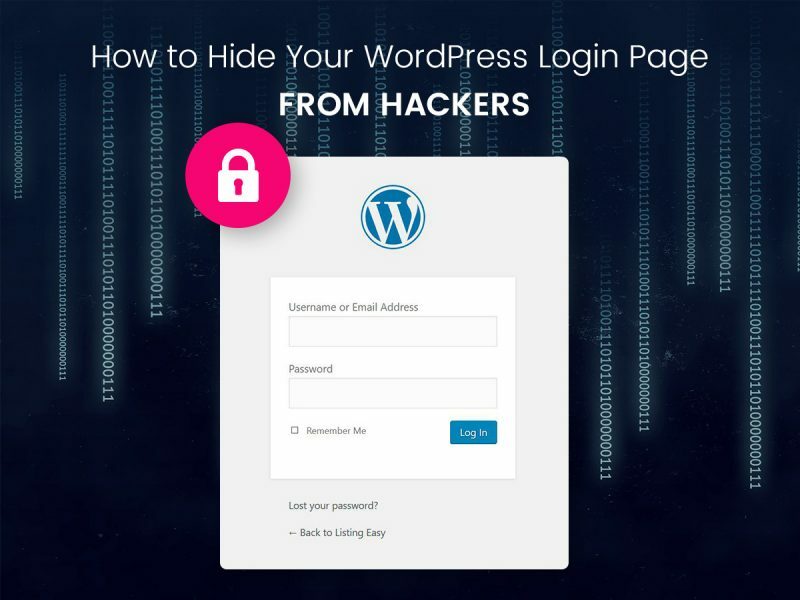 The template comes with advanced admin panel and advanced typography, unlimited sidebars, flexible layout, custom customized WPBakery page builder components, bottom footer widgets, and much more. A corporate agency WordPress theme for business enterprises, commercial companies, and more related establishments. It has 6 homepage layouts coming with different color schemes and styles, so you can choose any of them to your taste. The theme is based on Unyson framework, so it comes with a number of options. It also includes light and dark skins, Smart Slider, visual page builder with custom shortcodes, Contact Form 7, parallax sections, RTL support, different color schemes, and much more. 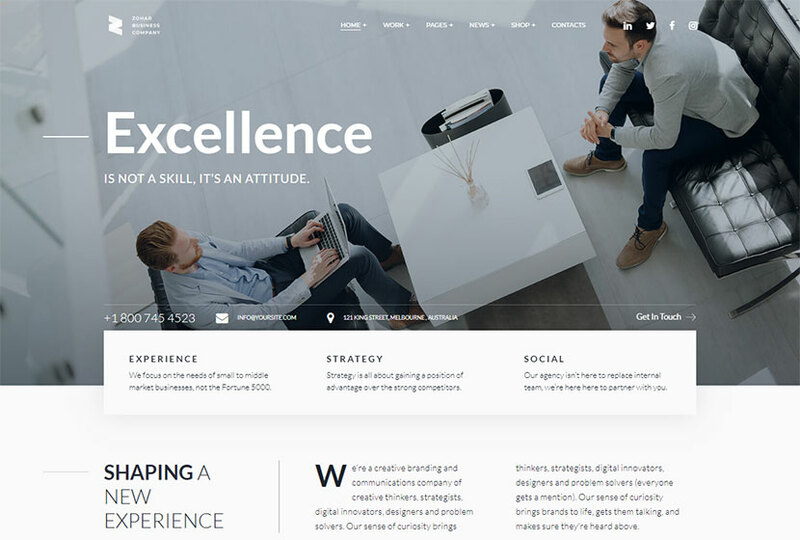 This is a creative one-page multi-concept WordPress theme for consultants and businessmen. It comes with 8 different homepage layouts for health consultant, architector, lawyer, barbershop, tutor, yachting rental, landscaping consultant, and many more. The theme is integrated with WPBakery page builder, Appointment Booking plugin, Contact Form 7, calendar widgets, advanced blog and portfolio options, unlimited color skins, extensive typography options, sidebar widget area, Twitter and Instagram feed widget, and many more features. 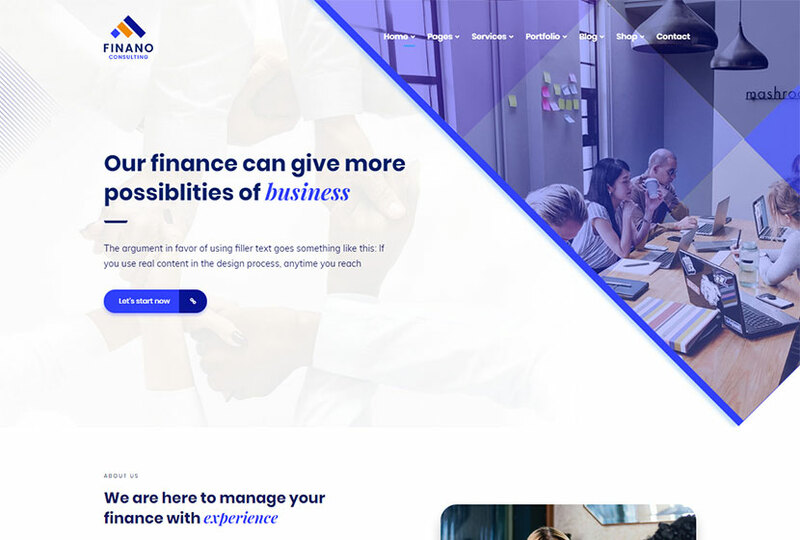 This is a business consulting finance WordPress theme which comes with a tremendous number of homepage layouts including the multipage and single-page ones, boxed and dark variants. The template is compatible with WooCommerce, so it allows to create a full-fledged online shop with ease. WPBakery page builder with Ultimate Addons, Revolution Slider, WPML translation-ready support, powerful theme options, MailChimp newsletter support, Contact Form 7, 7 stroke 200+ icons, icomoon fonts 360+ icons, powerful shortcodes, Bootstrap options, and many more features are available. 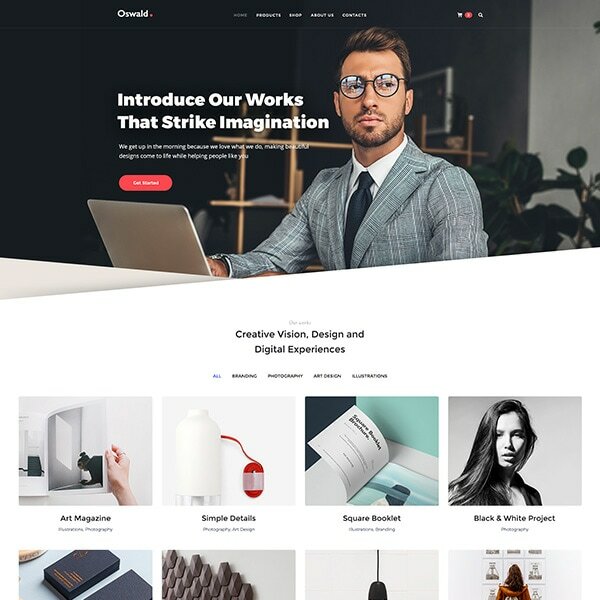 This WordPress template is going to be suitable for startups, creative agencies, portfolio websites, digital agencies, web developers, photographers, fashion designers, and more related purposes. It comes with 13 homepage layouts suitable for any mentioned purposes and available in different styles. 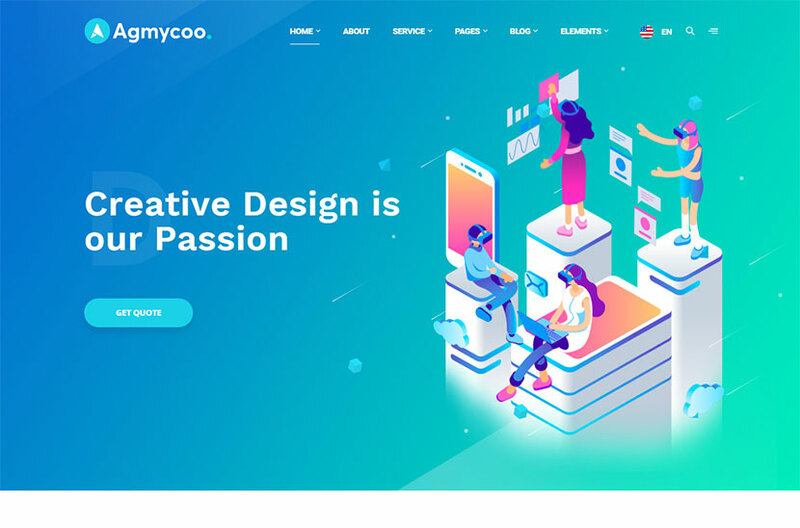 Features of the theme include Revolution Slider, unlimited Google fonts, WooCommerce support, Unyson framework, Contact Form 7, MailChimp integration, Kirki toolkits, unlimited colors, WPML compatibility, 5+ menu styles, 200+ icons, smooth animations, parallax sections, and more features. 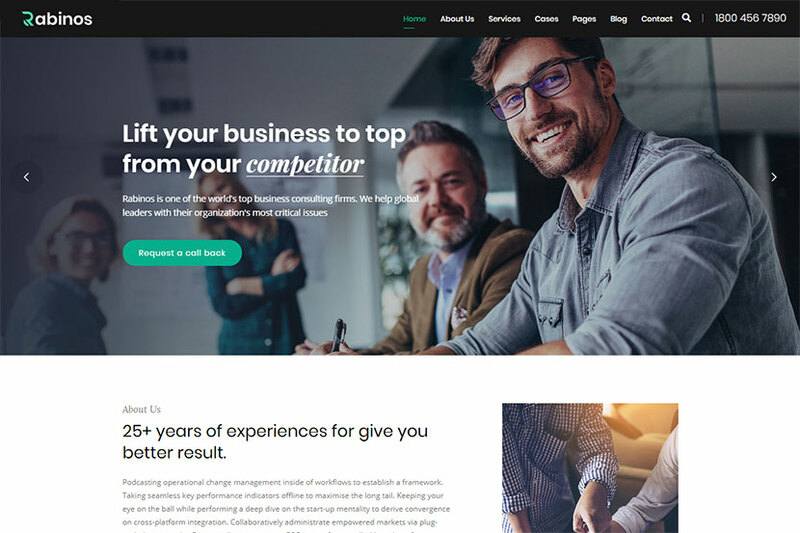 Sienta is a business consulting and corporate WordPress theme which comes with 5 homepage layouts suited for consulting, insurance companies, financial advisers, investment, accountants, startups, and other related purposes. As many other themes, Sienta comes with WPBakery page builder in its pack, so it allows to edit the theme’s pages and content using the drag-and-drop interface. Redux theme options, unlimited color styles, Contact Form 7, blog single page, and many more features also come with the template. 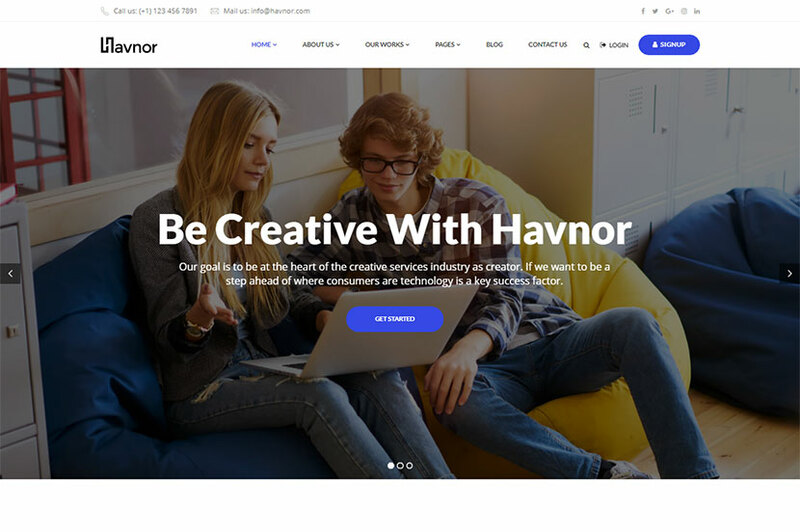 This is one more cool business WordPress theme which suits for freelancers, agencies, consulting, and other related purposes. It comes with 6 homepage templates for event, coach and mentor, classic business, startup, personal, and more needs. Unlimited number of custom portfolio pages, different blog layouts, Contact Form included, grid and masonry photo galleries, advanced side menu, easy color management, WPBakery drag-and-drop page builder, and many more features come pre-packed with the theme. 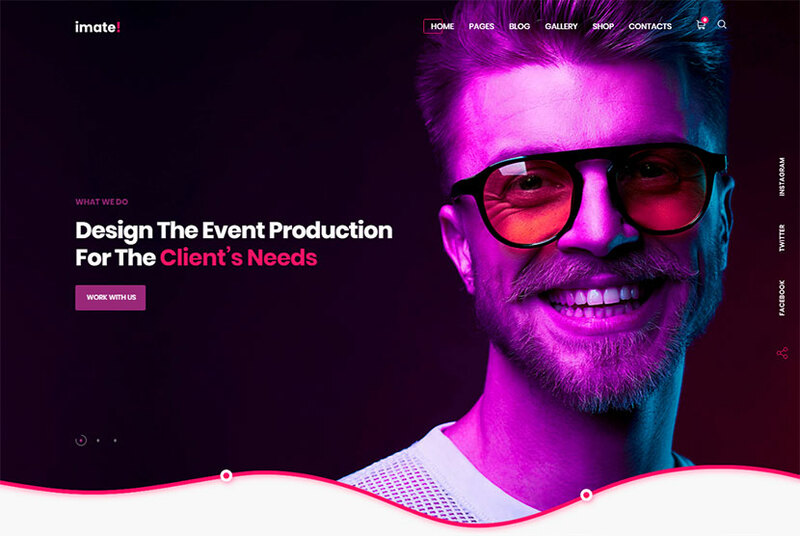 This is a multipurpose corporate WordPress template which comes with 22+ creative homepage layouts designed for construction, architecture, security, logistics, lawyer, conference and events, hosting, SEO, financial consulting, startup, medial, freelancer, and much more. The theme has different header and footer variations, boasts WooCommerce support, RTL interface compatibility, visual page builder, unlimited options, stunning blog design options, advanced theme options, unlimited colors, Contact Form 7, MailChimp integration, and many more features. 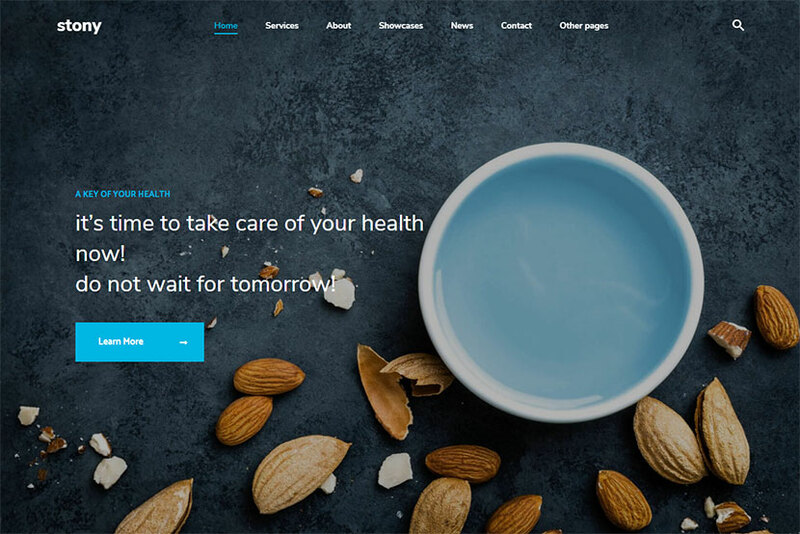 Rewon is a flexible WordPress theme which will be appropriate for many types of business websites including corporate, agency, freelancer, business card, portfolio, and many more variants of entrepreneurship. It includes two different homepage layouts to choose from, but you can customize any of them to your needs. The theme comes integrated with Slider Revolution which allows to create awesome presentations, it has advanced typography control, comes with unlimited colors, many custom shortcodes, Contact Form 7, custom widgets, fontello and image icons, several blog styles, and many more cool advantages. A business consulting and finance WordPress theme coming with 20 hand-crafted beautiful homepages available with different design styles. It provides you with tremendous amount of choices when it comes to selecting the appearance of your potential business website. 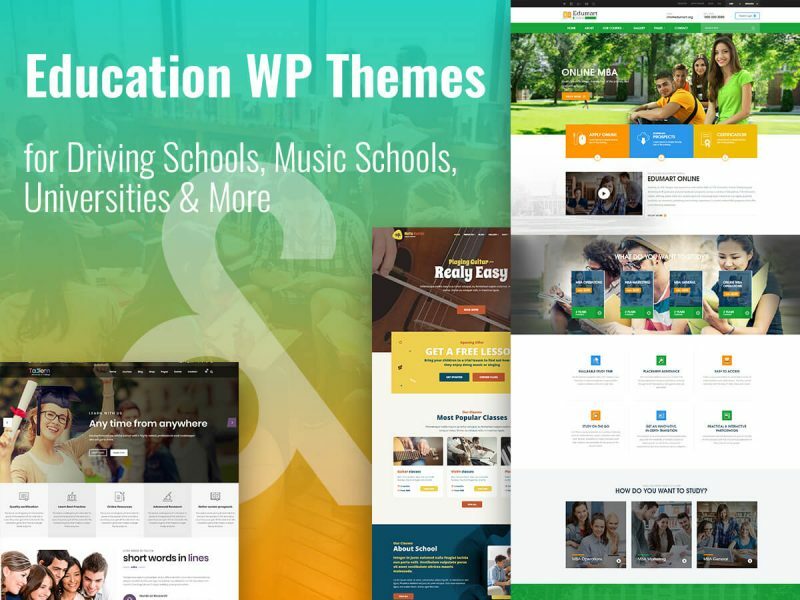 The template includes a number of useful features including King Composer page builder integration, Slider Revolution, WPML translation ready support, advanced typography options, Contact Form 7, child theme compatibility, powerful framework, unlimited sidebars, pixel perfect design, and many more advantages. 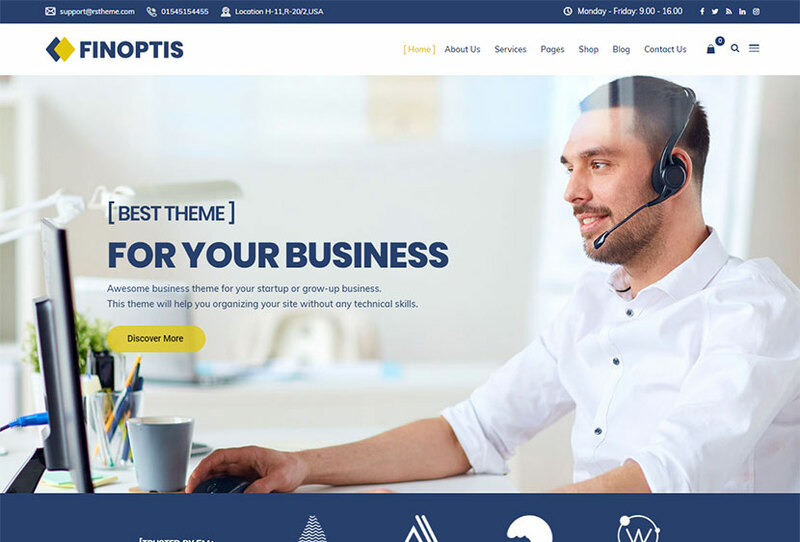 Finoptis is one more great business WordPress theme which includes 12 homepage layouts for very various business needs. You can take this template for corporate, business, creative, tax help, insurance, investment, consulting, financial, and other related purposes. The theme includes 5 header variations, unlimited color options, WPBakery drag-and-drop page builder, Revolution Slider, off-canvas menu, child theme support, Bootstrap and Redux framework based options, Live Customizer, different blog layouts, and many more features. 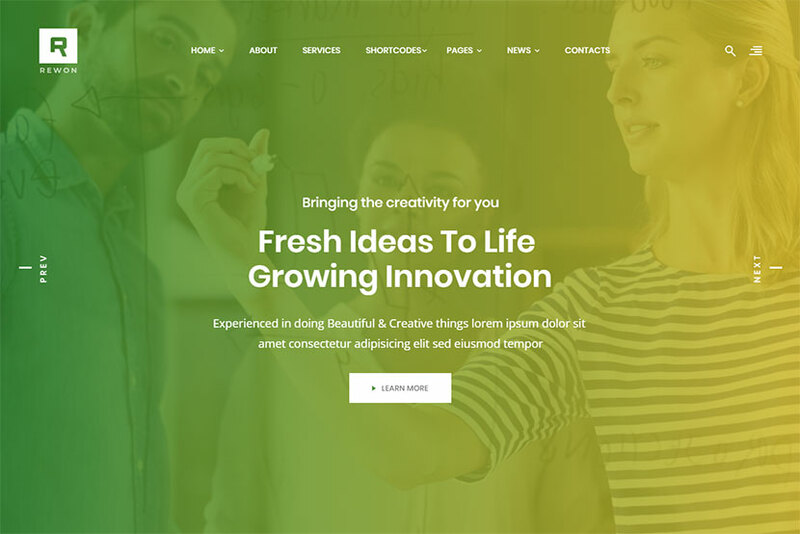 We hand-pick the freshest and most trendy WordPress themes for your multiple business and personal needs. So stay with us to get more.